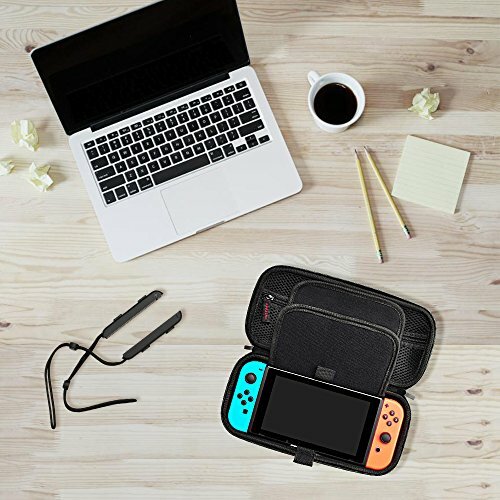 ·Strong and Durable: Hestia Goods case is made of top quality nylon fabric. Nylon is much stronger and durable than smooth PU leather. 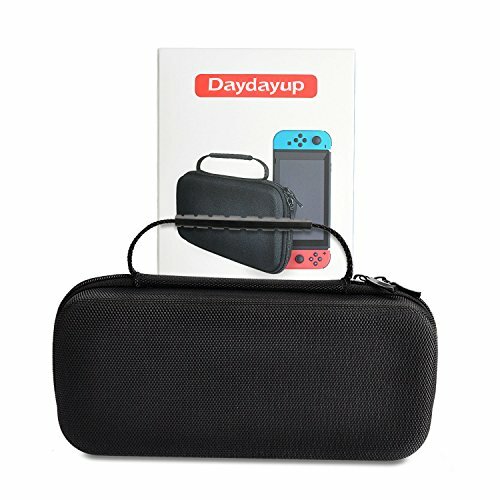 A nylon case can normally last a life time while PU material tends to deteriorate in a couple of years. 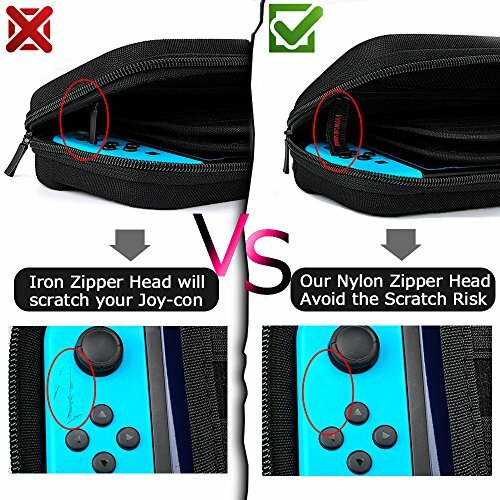 ·UNIQUE ZIPPER HEAD DESIGN: We use a High Quality Nylon Zipper Head to replace a Other Case's Iron Zipper Head, for avoiding the Left Joy-cons scratch Risk. 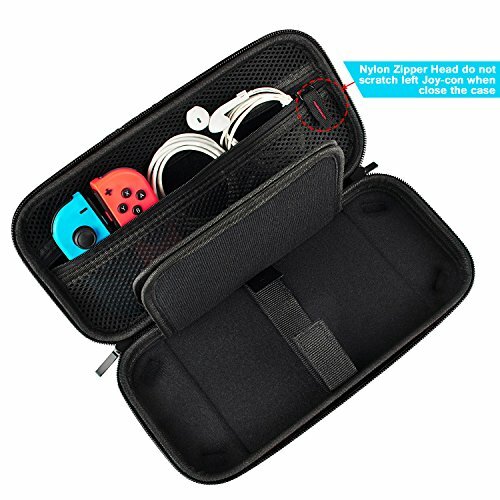 ·SPECIAL ZIPPER MESH POCKET: Zipper ensures your small items do not fall out and Easy to take and put. ·A secures Design: We have replaced two elastic straps with a Tab in our latest version for better usability. 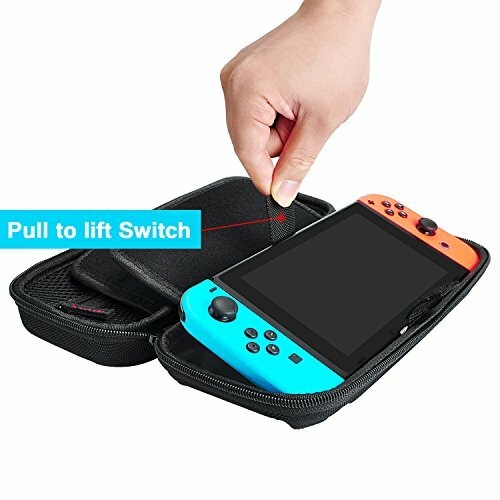 It is a lot easier to put in and take out the Switch with a Tab. 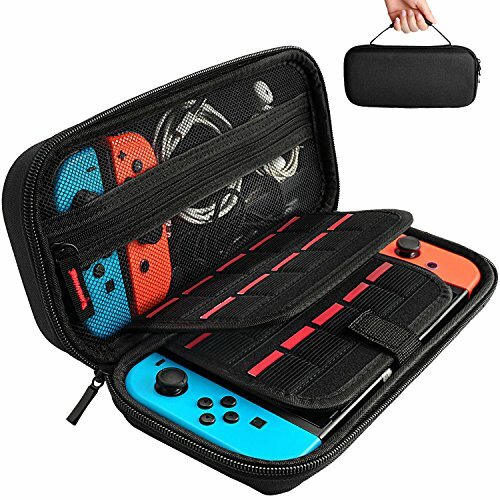 ·20 game card slots : Build with 20 game card slots, allowing you to carry and change your favorite games anytime & anywhere. 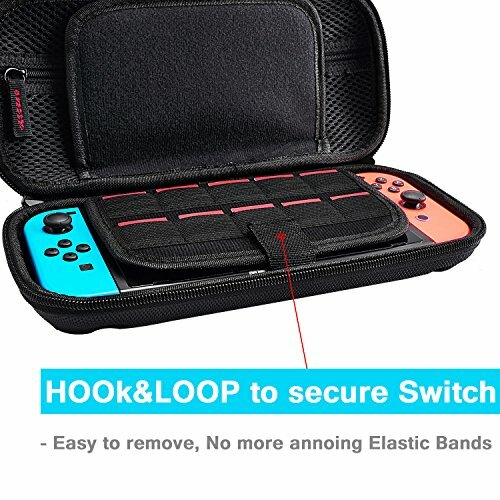 For any question you're unhappy with us, please feel free to contact us (via "Contact Seller" to us) , we'll try our best to solve the problem quickly and efficiently!